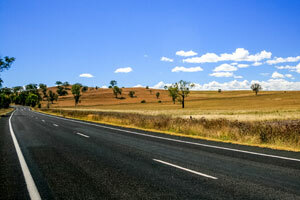 Planning for the motorway standard upgrade of Warrego Highway from Dinmore to Helidon Spa in Queensland is underway. Member for Ipswich West Jim Madden said the government is getting started on concept planning in an attempt to preemptively upgrade infrastructure with population set to boom. “The four-lane Warrego Highway from Dinmore to Helidon Spa is the backbone of our growing region with traffic expected to double over the next twenty years. “To meet future demand, the government is getting on with the job of developing plans for the interchanges and local service roads we’ll need for a Warrego motorway,” Mr. Madden said. According to Mr. Madden upgrading existing intersections with motorway-style interchanges will increase the safety, efficiency and flood resilience of the highway — a crucial link in the nation’s freight network. Member for Bundamba Jo-Ann Miller said planning was in the preliminary stages, after which the government would start consulting with land owners, industry and surrounding communities. “With the Second Range Crossing nearing completion, the Warrego Highway will play an even greater role in connecting local communities and keeping Queensland’s freight moving,” she said. Transport and Main Roads Minister Mark Bailey said planning was already underway for safety works at key Warrego Highway intersections including $550,000 for the Haigslea-Amberley Road. “We already have a $635 million partnership with the Federal Government for safety upgrades west of Toowoomba with the Warrego Highway Upgrade Program,” Mr. Bailey said.